A healthy and diverse gut bacteria is important for health. However, an overgrowth of this bacteria in the small intestine – known as SIBO – can cause serious problems. This article takes a detailed look at SIBO and what dietary changes are scientifically shown to help. Small Intestinal Bacterial Overgrowth (SIBO) is a digestive disorder characterized by excessive bacteria in the small intestine (1). These bacteria then ferment (interact with food particles and nutrients) to cause a wide range of symptoms. Unlike the large intestine (also known as the gut or colon), which contains most of your gut bacteria, the small intestine should not have a large amount of bacteria. 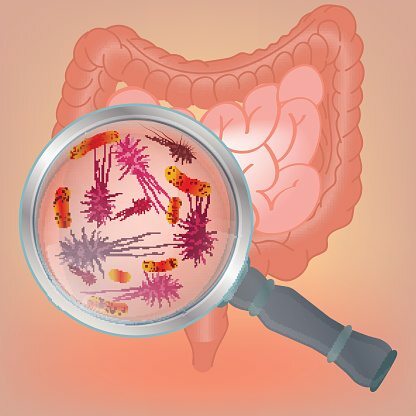 SIBO is uncommon in young and middle-aged adults, but is thought to occur in at least 14% of older patients on average (2). 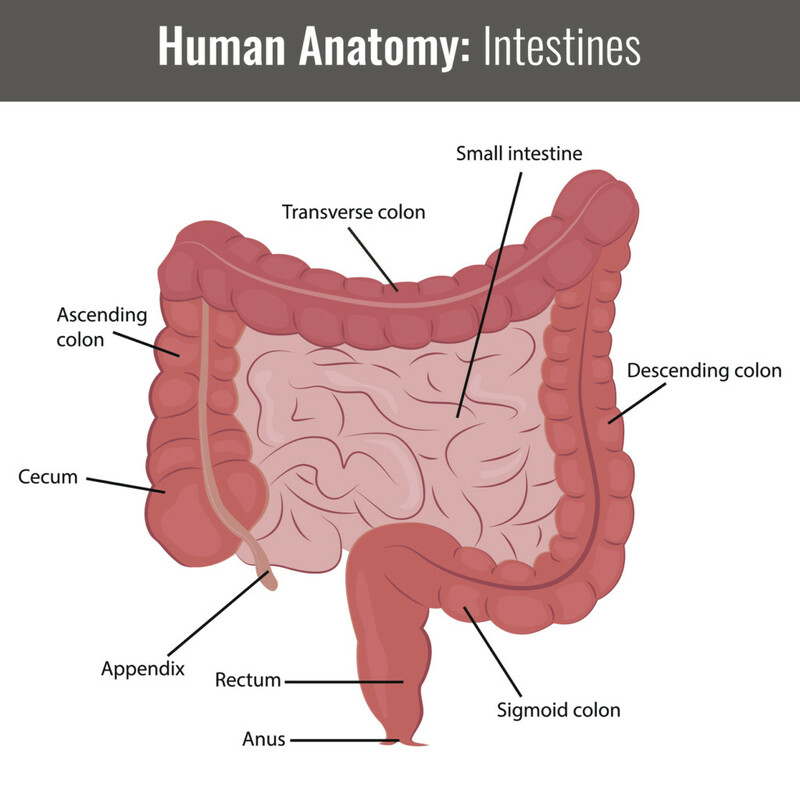 Large intestine (colon) is shown in red. Small intestine is shown in pink. Click to enlarge. Summary: Excessive bacterial growth in the small intestine is known as SIBO. It becomes much more common as we grow older. Researchers suspect SIBO is caused by a combination of decreased pancreatic enzymes, bile acids and gut motility. Chronic use of antacids: Long-term antacid use (such as omeprazole) reduces acid production in the stomach. Consistently low levels of stomach acid can lead to bacterial overgrowth in the stomach and small intestine (3, 4). Immunodeficiency Syndrome: Disorders that can suppress our immune system – such as AIDS and IgA antibody deficiency – provide an ideal environment for harmful bacteria to thrive (5). Celiac disease: Celiac disease can disturb how food moves through the intestines, particularly if it remains undiagnosed or is poorly managed. This leads to increased bacterial growth in the gut (6, 7). Aging: In general, older people are at increased risk for SIBO because our digestive tract gets weaker with age. This is thought to be caused by reduced physical activity, weight gain, ongoing medication use and general weakening of the gastrointestinal tract (8, 9). Alcoholism: Chronic alcohol consumption appears to increase risk of SIBO (10). 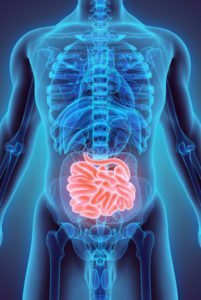 Gastroparesis: There is a strong overlap between symptoms, and it seems those with gastroparesis (also known as delayed gastric emptying) are more likely to have SIBO (32). Numerous other conditions are linked with increased SIBO risk, but more research is needed. These include hypothyroidism, Crohn’s disease, ulcerative colitis, fibromyalgia, rheumatoid arthritis, Parkinson’s disease and more. Summary: Your risk of SIBO is greatly increased by several conditions and factors, most often related to reduced function and efficiency of the intestines. 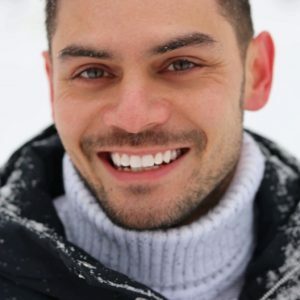 Many SIBO patients experience different signs and symptoms. Some people may also experience depression and skin problems like acne and eczema. The intensity of symptoms can differ, too. While some patients may have diarrhea and milder vitamin deficiencies, others may experience severe nutrient malabsorption and impaired digestion (2). Left unmanaged for several months, SIBO can cause several vitamin and mineral deficiencies. Vitamin B12 deficiency is one of the most common deficiencies, alongside the fat-soluble vitamins such as A, D, E and K (2). Mineral deficiencies such as iron, calcium and magnesium are also common in SIBO patients. Summary: SIBO symptoms range from digestive stress to severe nutrient deficiencies. They are often similar to IBS. SIBO is a severely under-diagnosed condition (2). This is because a large portion of our small intestines is impossible to reach without surgery. Fortunately, some non-invasive tests have been designed; namely the Hydrogen Breath test. This same test can be used to detect common food intolerances, IBS and H. pylori infection. 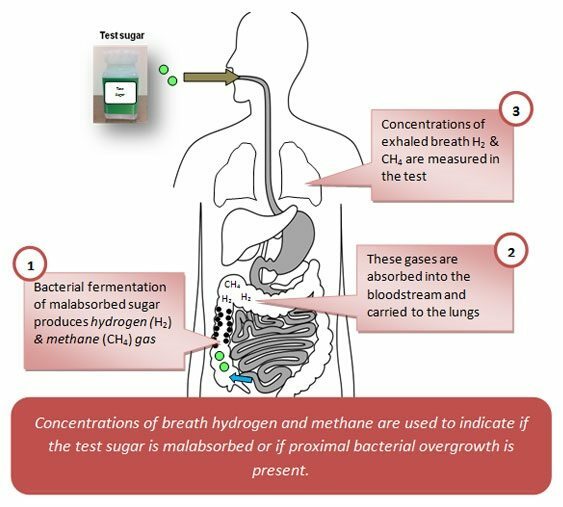 The two types of Hydrogen Breath Test used for SIBO are the Lactulose Breath Test (LBT) and the Glucose Breath Test (GBT). Both tests measure concentrations of hydrogen and methane in the breath. While neither is perfect, the LBT seems to be preferred. These two gases are only produced by bacteria (in the small intestine) and not directly by humans. High levels indicate increased bacterial activity and/or overgrowth. In order to give an accurate reading, prior to the test patients follow a specialized diet for 1-2 days that does not feed the bacteria. On the day of the test, a formulated sugar drink is given in order to get a clear reading of the patient’s reaction to carbohydrates. The test can be done with take-home kits or with your doctor in the clinic. But interpretation of results should always be with a health care professional. Summary: The best non-invasive method for diagnosing SIBO is with a Hydrogen Breath Test. Request with your doctor if they have been unable to pinpoint your digestive symptoms. Diet alone will not rid of SIBO, so you’ll need antibiotics or herbs (or both) as your first line of treatment. Conventional treatment for unwanted bacterial growth is antibiotics (2). Antibiotics are designed to kill bacteria, which is why they are prescribed when you have an infection. The usual antibiotics used are rifaximin, ciprofloxacin or metronidazole. 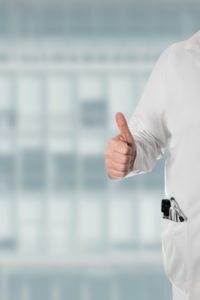 Rifaximin is the most well-studied antibiotic for SIBO, with a success rate of about 50% after 1 week. A combination of rifaximin and other antibiotic, neomycin, has been shown to be around 85% effective after 10 days (14, 15). Patients with a positive hydrogen breath test: 550 mg rifaximin 3 times per day for 14 days (not missing any doses). Patients with a positive methane breath test: 550 mg rifaximin 3 times per day + 500 mg neomycin twice a day for 14 days. Alternatively, 550 mg rifaximin 3 times per day with 250 mg metronidazole 3 times per day for 14 days. Antibiotics treatment should be followed by a pro kinetic (which enhances intestinal tract motility) for 3 months, a repeat breath test and then a low FODMAP diet (more on that below). Herbal antibiotics are also an option, with over 50% of patients who fail on rifaximin reporting success with herbal treatment. In this particular study it was Dysbiocide and FC Cidal or Candibactin-AR and Candibactin-BR (16). Some people may need to do multiple rounds of either herbal or pharmaceutical antibiotics to completely stop bacterial growth. Just remember that herbal antibiotics must still be taken under the supervision of your doctor. They can interact with other drugs. The problem with antibiotics, pharmaceutical or herbal, is they do not differentiate between good and bad bacteria — they destroy all bacteria. Long-term use leads to serious imbalances in your gut bacteria, linked to numerous other health conditions such as insulin resistance and obesity (17, 18). SIBO antibiotics are also only a temporary “band-aid” treatment, and do not address the root cause of the problem. This is why those only treated with antibiotics are likely to relapse and experience SIBO again (19). In fact, a study on antibiotic therapy alone versus antibiotics plus guar gum supplementation (a fermentable carb) found that success rates were improved from 62% to 87% with the guar gum added (31). This seems counter-intuitive because it showed the addition of guar gum (which feeds gut bacteria) was more beneficial than harmful. It’s also in line with studies showing that prebiotics and probiotics – additional bacteria – are beneficial (more on that below). So, antibiotics are especially useful in the short-term (and often necessary), but are not a permanent solution, and certainly not a solution themselves. Summary: Antibiotics are useful (and often necessary) in the short-term to treat SIBO. However, patients who solely rely on them are likely to relapse. They also kill both bad and good bacteria, which is very harmful to long-term health. FODMAPs are a type of fermentable carb common in the foods we eat. They act as necessary “food” for our gut bacteria, but can cause severe digestive problems in sensitive people. 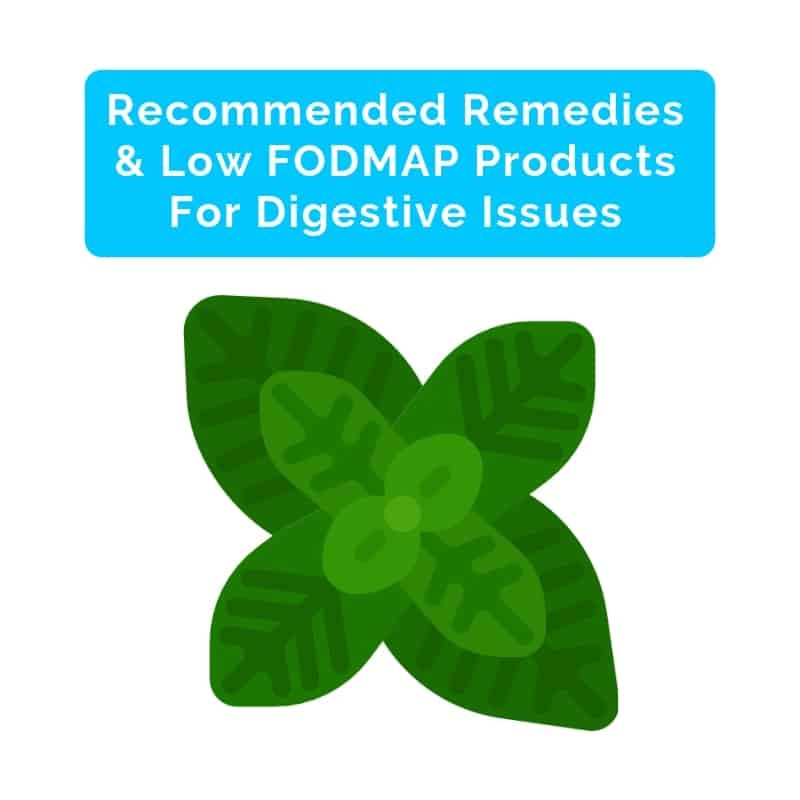 The process of identifying and removing problem FODMAPs from the diet is known as a low FODMAP diet, and is clinically proven to treat IBS (26). SIBO shares almost all the same symptoms as IBS. In fact, studies show that between 30-85% of patients with IBS also have SIBO (27, 28, 29, 30). 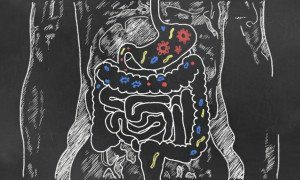 Due to this strong overlap, researchers suspect a low FODMAP diet may be beneficial for SIBO patients too, as it would “starve” the problem bacteria in the small intestine. Unfortunately, there has not been much research in this area and the current evidence is not clear. It seems the low FODMAP diet is incredibly helpful when starting off, but requires a bit more flexibility for SIBO when reintroducing fermentable carbs. Just make sure not to start a low FODMAP diet until you have finished your course of antibiotics. The “bad” bacteria need to be active for the antibiotics to work. There’s also limited research on the long-term effects of a low FODMAP diet. Following such a strict regimen for a long period of time may lead to detrimental effects on the bacteria in the large intestine. Summary: A low FODMAP diet may help initially by “starving” the problem bacteria in the small intestine. But studies have not yet confirmed it as a reliable SIBO treatment. Probiotics is the name given to bacteria we intentionally eat for health benefits. They are essentially the opposite of antibiotics (20). It seems counterintuitive to treat SIBO – bacterial overgrowth – with additional bacteria, but recent research has seen success using probiotics instead of antibiotics. One small study of 14 IBS patients with SIBO found that a daily probiotic drink altered fermentation patterns in the intestine, consistent with reducing SIBO (21). Another early study found that 82% of patients receiving probiotics for 5 days reported improvements compared to only a 52% improvement in those receiving the antibiotic metronidazol. These findings are in line with previous animal studies that observed similar benefits of probiotics (22, 23). To be fair, though, some research found no significant benefits. One clinical trial on children treated with omeprazole found that probiotics didn’t help, at least not in preventing SIBO (24, 25). Until we know more, probiotics are not recommended until after completing the antibiotic protocol and a low FODMAP diet. You also want to be careful of the type of probiotics you are using. Avoid any product with added ingredients like maltodextrin, which can end up feeding the bad bacteria. Summary: Early studies have found probiotic supplementation may help with SIBO treatment. Its effectiveness has not been proven in clinical trials, though, but it’s a promising area. Consider using them only after you have completed antibiotic treatment and a low FODMAP diet. There is a lot about gastrointestinal diseases and conditions that science does not yet understand. SIBO is no exception, which is why the perfect diet plan just doesn’t exist yet. Several potential diets have emerged that are worthy of consideration, but we should be cautious and only trial them under medical supervision. The Specific Carbohydrate Diet (SCD) claims to help treat several forms of bowel disease. This includes ulcerative colitis, Crohn’s disease, diverticulitis and celiac disease. Meat, chicken, fish, eggs, some legumes, lactose-free dairy, ripe fruit, non-starchy vegetables, nuts and seeds, and honey. All grains, starchy vegetables (such as potato, corn), regular dairy, some legumes, sugar. Basically it shares many similarities to the low FODMAP diet, but not as much scientific backing at this stage. More studies are underway and I’m looking forward to the results. The Gut and Psychology Syndrome diet (GAPS diet) is similar to SCD but with a few modifications. It contains a different introductory phase, fewer legumes, and dairy protein is reintroduced more slowly. There is some anecdotal evidence to support it, but these are for autism and other conditions related to brain function (hence the name) rather than digestive issues. There are no studies of the GAPS diet in the medical literature, and the creator makes a lot of extraordinary claims, which is often a red flag. Summary: The SCD and GAPS diet have emerged as potential diets to help treat SIBO, but neither was actually designed for this condition. They may be useful, but are not evidence-based. SIBO sufferers have looked to other alternative treatments to help reduce their symptoms and rid of bacterial overgrowth. Keep in mind that these are all anecdotal, and there has been little to no research on these potential treatments. Be sure to check with your doctor before trying any option mentioned below. Some have claimed that taking iodine — namely Lugol’s 5% iodine — has helped them rid of SIBO. However, the role of iodine as an effective antibiotic for the gut has yet to be studied. It’s important to remember that iodine directly affects your thyroid. Discuss with your doctor before starting any protocol, especially if you experience thyroid issues. 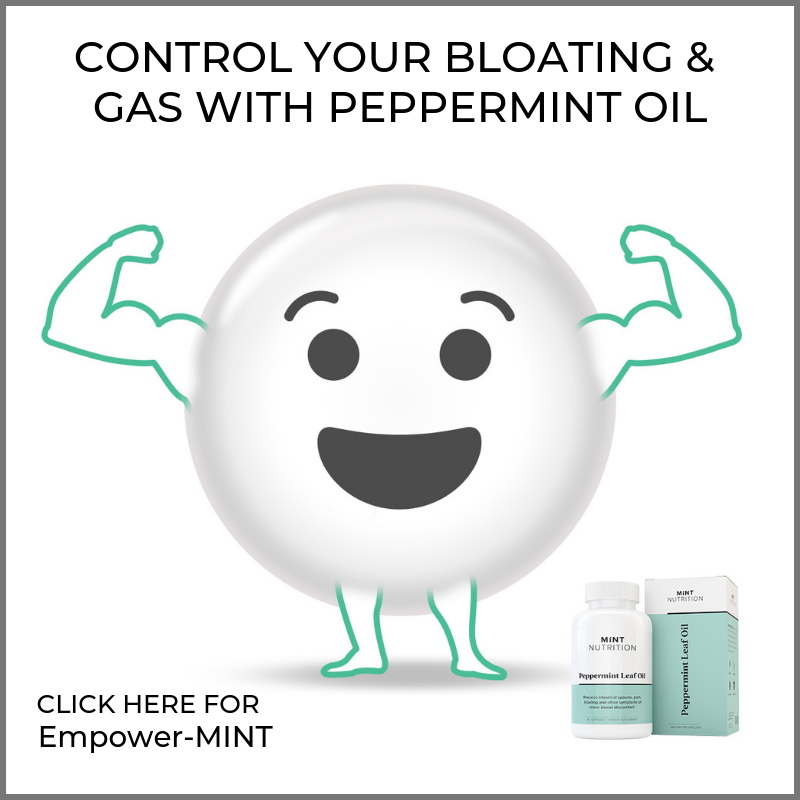 Enteric-coated peppermint oil has proven to be effective in reducing symptoms like bloating in patients with IBS (26). In this study, the researchers found that peppermint oil decreases the production of hydrogen, a bacterial byproduct in patients with SIBO. Other essential oils — including oregano, tarragon, frankincense, wormwood, and clove oil — may also lend some relief. Do know that these oils can be potent. Before starting any essential oil regimen, check with a skilled practitioner to help you determine exact dosing. Some people believe that intermittent fasting can help “starve” the bad bacteria. But this may not rid of the bacteria completely. Instead, starving them may make them harder to eradicate. Summary: There’s been some anecdotal claims that natural products including iodine and enteric-coated peppermint oil can help reduce symptoms and maybe even rid of SIBO completely. However, there’s been little or no research on these potential treatments. 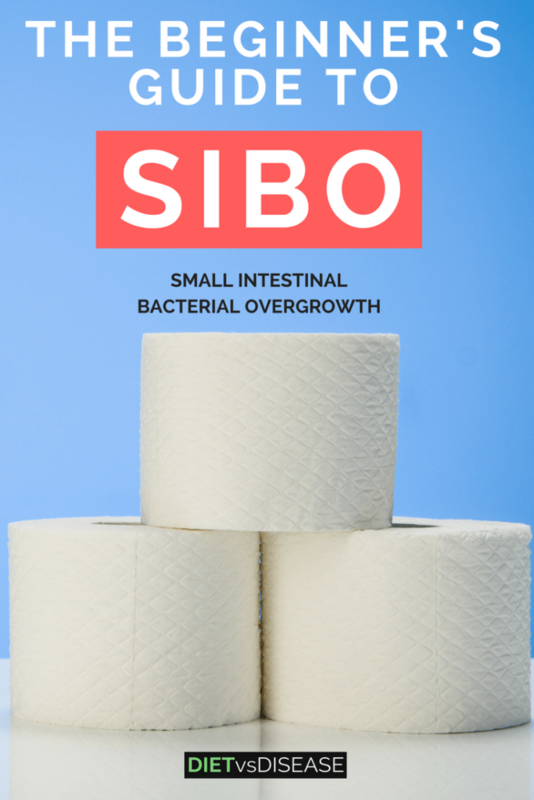 It reportedly takes about 2 to 5 years on average for SIBO to be completely corrected. For this reason it’s important to explore the different treatment options and find what works for you. Unfortunately, there is no single diet guaranteed to treat SIBO 100% effectively. From the weight of evidence, two weeks of antibiotics is warranted first in order to deal with acute symptoms and bacterial overgrowth. A prokinetic may be required afterwards. This should be followed by a low FODMAP diet to identify any food intolerance. The SCD diet is also something worth exploring, as is probiotic supplementation after a low FODMAP diet. 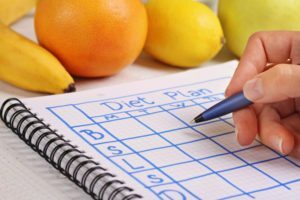 This all needs to be done under the supervision of your doctor and dietitian. How do I find more info on this Ludols iodine? 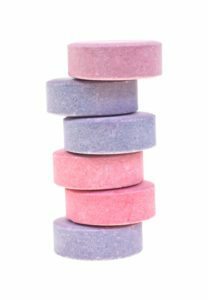 What about a 7-year-old boy with sanfillipo and Sibo? What would be an option for him? I only give him soft foods in small pieces to avoid choking. He is losing weight but is very hungry and thirsty all the time. He does not have celiac. Holy cow, thanks so much for this article. I am very happy with how informative this is, your citation of sources, and your impartiality when discussing various treatments or possible solutions. I am 100% sketched out by “holistic” “doctors” who claim their miracle cures will solve all of your medical problems plus AIDS so it’s a miracle to encounter something like this. Keep up the great work and thanks do much!